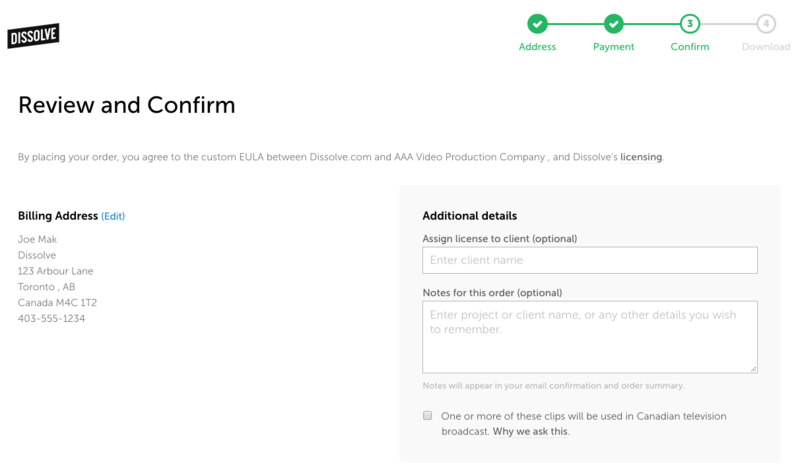 To license a footage clips or photos in the name of clients, you can specify your client name during checkout. First checkout, add your address and payment details. When you arrive on the Review and Confirm page, on the right hand side you can specify additional details. Enter your client's name to assign the license of the clips and photos in your order.